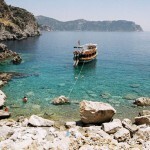 Marmaris Çiftlik Boat Trip , During summer season Marmaris is a very popular tourist destination. Thousands of people from all over the world come to visit our resort and to admire its beauty and wonderful beaches. 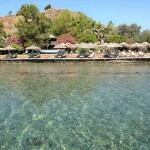 There is no denying the fact, that Marmaris is a real paradise for tourists of different age. They come to swim, sunbathe, have fun and meet new people. 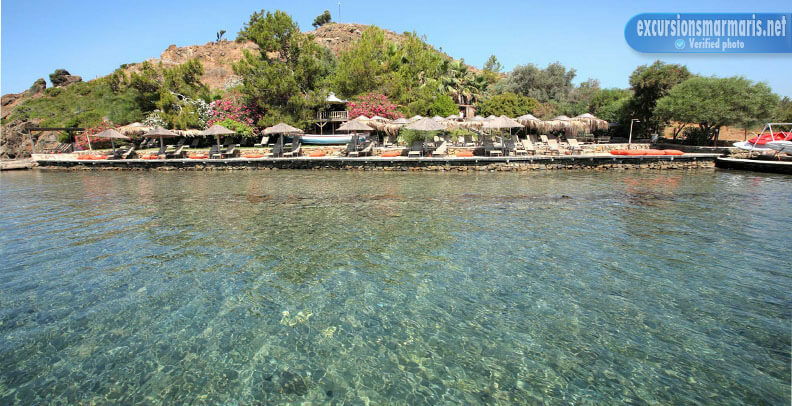 There are hundreds of activities that Marmaris offers nowadays. 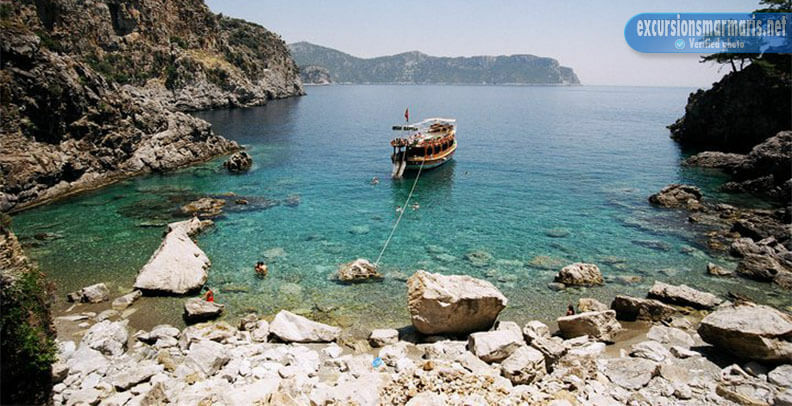 For instance, we organise a boat trip and carry our guests to the most picturesque places of Marmaris coastline. During our voyage guests can swim, sunbathe, snorkle, take beautiful fotos, participate in games and etc. Our boat is very spacious and has all the necessary facilities such as a toilet, a shower, dressing rooms. We observe all the hygienic norms and standards. All the facilities are clean and modern. Moreover, our staff is very experienced and pesponsible. All the wishes of our guests are fulfilled implicitly. We do not invite many people to the boat, as we understand that each person needs privacy and calm atmosphere. The main idea of our voyage is close unity with nature. Early in the morning we pick up guests and move to the most distant bays and caves. On our way we visit is the Bay of Ciftlik. It is an example of a rare piece of virgin nature in our country. The sea is of a unique blue color and conifers are extremely green. We allow our guests to have a swim in the bay. For those who do not swim, we offer deck chairs and armchairs. During our voyage we have a break for a delicious lunch that is cooked according to traditional recipes. The lunch includes salads, pasta, poultry or fish, drinks (at extra cost). To crown it all, we offer you to spend a great day out that you will not forget. The only thing you need to have is your camera! Imagine what you will feel looking at your summer photos in winter.